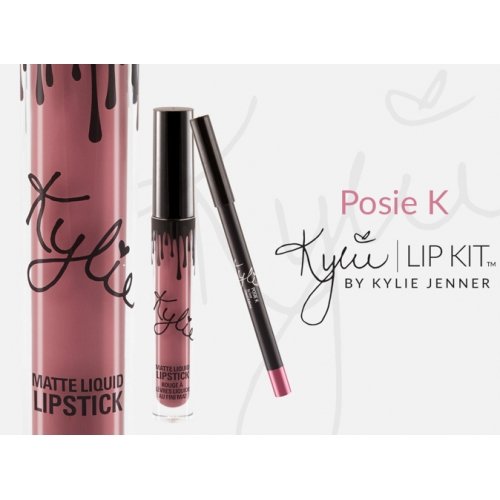 The #KylieCosmetics LipKit is your secret weapon to create the perfect 'Kylie Lip.' Each Lip Kit comes with a Matte Liquid Lipstick and matching Lip Liner. Posie K is a cool mid-tone berry. The Liquid Matte Lipstick has high intensity pigment for an instant bold matte lip. The extremely long wearing lipstick contains moisturizing ingredients for a comfortable, emollient and silky feel that does not dry your lips out.